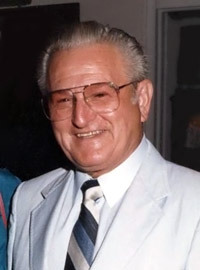 In 1965 after spending most of his life in the plating industry Mitchell Kafarski opened Aactron, Inc. in Madison Heights, Michigan. At first the operation was solely dedicated to phosphating for the automotive, military and close-by industries. Business grew as customer requests for a broader variety of coatings were heeded and higher-performance coatings were added. 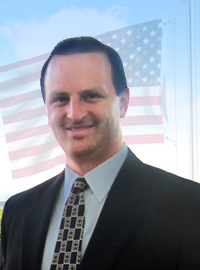 As time went on companies from across the Midwest, Canada and the East and West Coasts were added to the customer list. In response to this growth an addition was constructed in 1975 nearly doubling the size of the facility. It added the capability to apply paints, solid film lubricants and other organic coatings with new methods, higher speeds and better quality. Aactron continued diversifying its markets, actively acquiring business from defense, heavy vehicle and other industry sectors. Along with this came the demand for high-performance and high-precision coating applications for industries like aerospace, mining/drilling and defense to which Aactron responded creating several new niches for itself. These advances bring with it the necessity to continually improve processes, facilities, equipment and technology to which Aactron has responded with almost annual updates and several renovations right up to the present. 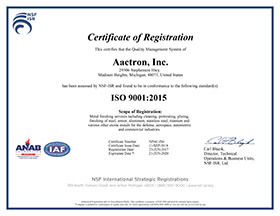 In so doing Aactron has attained several approvals, certifications and licenses from various industry leaders. Customer needs over the years have driven Aactron to offer ability to clean, pretreat and finish a wide variety of parts and metals to an always-growing array of specifications from around the world. Following this philosophy Aactron continues to add related capabilities to add to its “one-stop-shop” offering and looks forward to serving its customers with timely, reliable, innovative and high quality service at a competitive price.